The Omega Nebula, also known as the Swan Nebula, catalogued as Messier 17 or M17 and as NGC 6618 is an H II region in the constellation Sagittarius. It was discovered by Philippe Loys de Chéseaux in 1745. Charles Messier catalogued it in 1764. 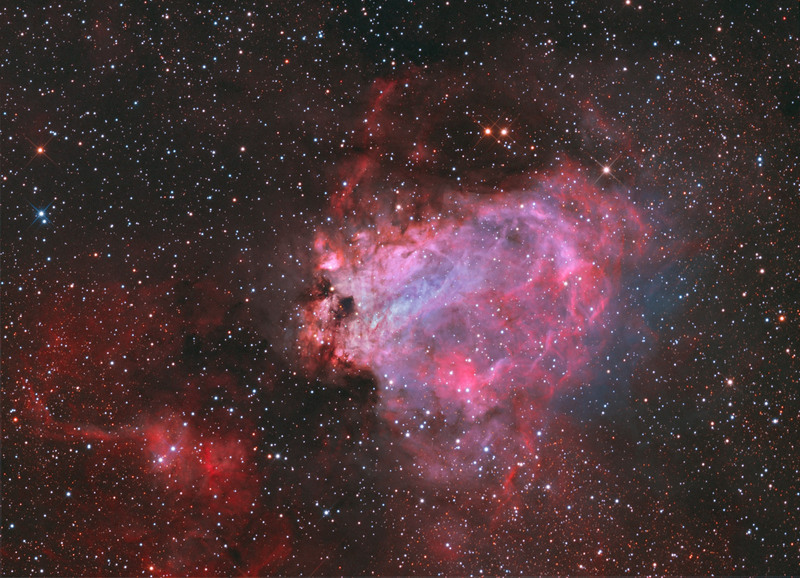 It is located in the rich starfields of the Sagittarius area of the Milky Way.The Omega Nebula is between 5,000 and 6,000 light-years from Earth and it spans some 15 light-years in diameter. 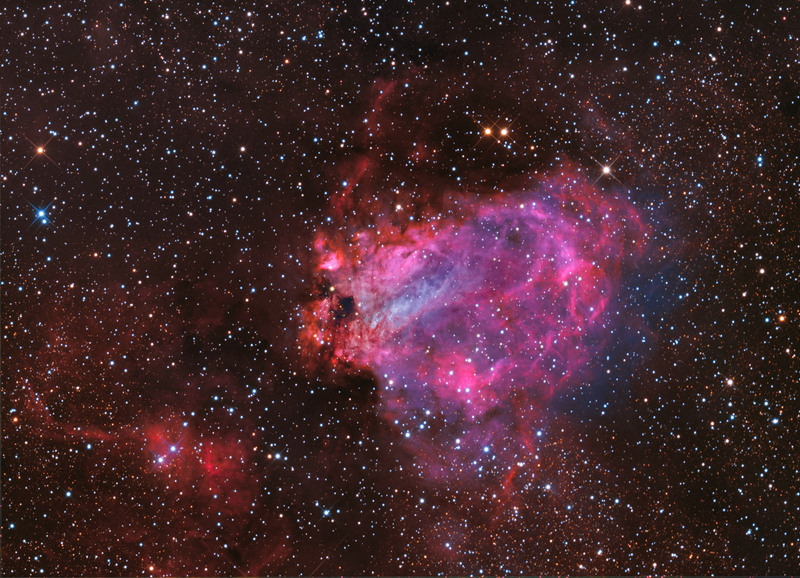 The cloud of interstellar matter of which this nebula is a part is roughly 40 light-years in diameter and has a mass of 30,000 solar masses.The total mass of the Omega Nebula is an estimated 800 solar masses. 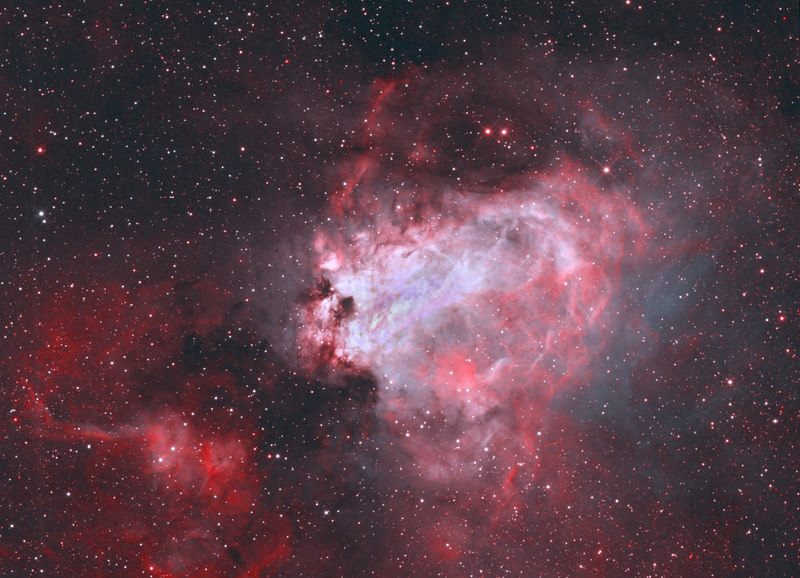 It is considered one of the brightest and most massive star-forming regions of our galaxy. Its local geometry is similar to the Orion Nebula except that it is viewed edge-on rather than face-on. 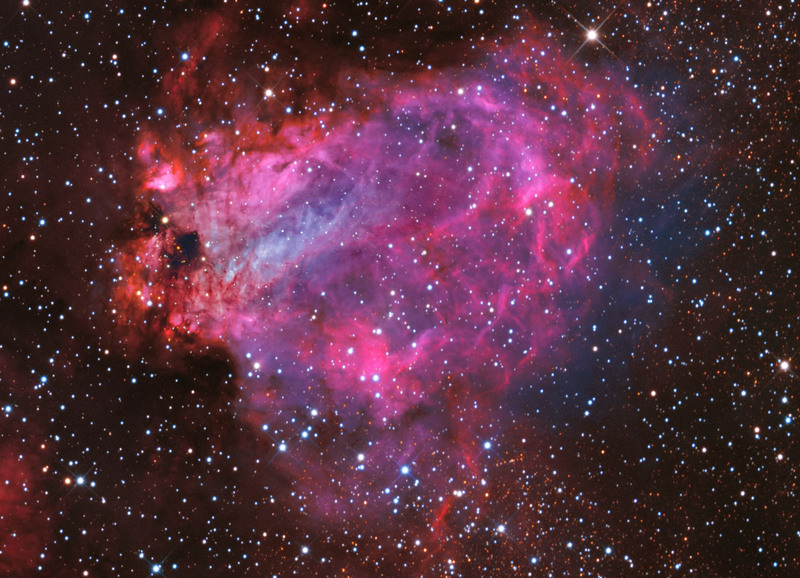 An open cluster of 35 stars lies embedded in the nebulosity and causes the gases of the nebula to shine due to radiation from these hot, young stars; however the actual number of stars in the nebula is much higher - up to 800, 100 of spectral type earlier than B9, and 9 of spectral type O, plus >1000 stars in formation on its outer regions. 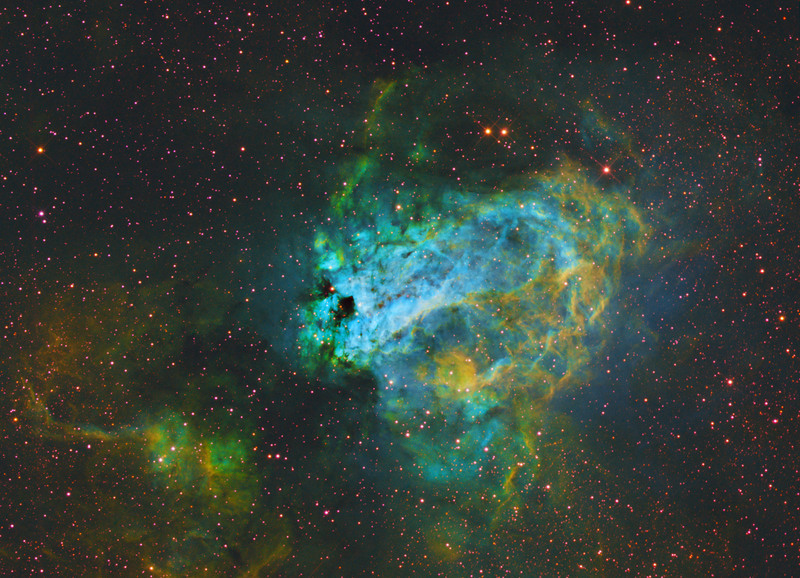 It's also one of the youngest clusters known, with an age of just 1 million years.